Discounted parking available at the nearby Moxy Atlanta Midtown hotel, located at 48 13th St NE (short short walk from our location, at the intersection of 13th and Peachtree Walk NE). Up to 2 hours parking for lunch and dinner for only $6 (normally costs $16). Please be sure to bring your parking ticket to the restaurant for validation. 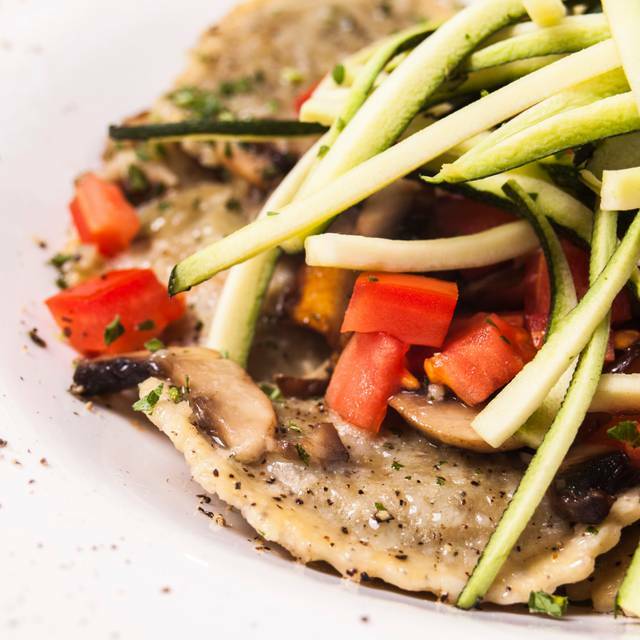 Pasta da Pulcinella strives to maintain a comfortable, cozy venue with cuisine that is unmatched in quality and care. This small, independent, quintessentially Italian restaurant embraces a unique clientele all looking for a place to eat, drink, relax, and, on occasion, order one more bottle of Chianti. 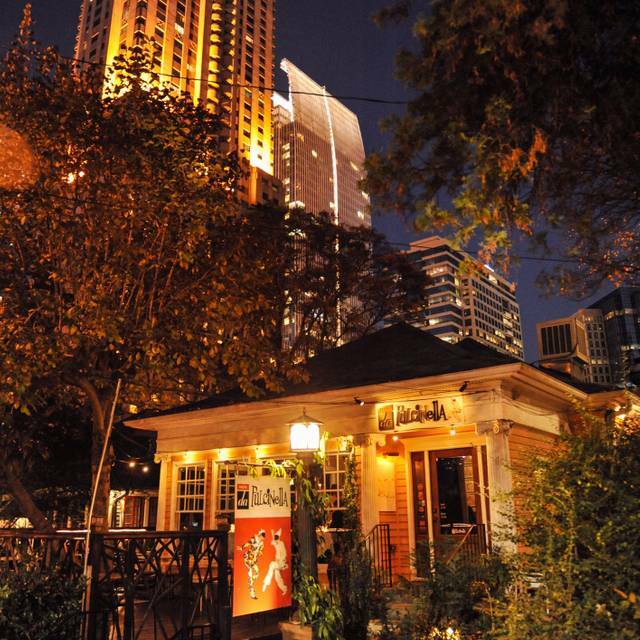 Whether it’s a young couple or a group event, theater patrons or traveling business persons, everyone basks in the romantic charm of our little yellow house hidden in the shadow of skyscrapers. Always a pleasure and always consistently great! Kao is always amazing. Kayo thanks you, and so do we. Appreciate the feedback!! It was our pleasure serving you. Been here 5 or so times. Always had great food, but this time was less than spectacular. Unusually bland for both me and my wife. It's a smaller house that is a little cramped and can get noisy quick, but it is normally very good food, at a very good price, and a good location. The service is always on top of things and more than willing to help. Service was a little slow for a business lunch. Otherwise great experience. Thank you for the feedback. We apologize for the slow service. Please do give us another try. I requested a quiet table and they gave us a very quiet table in the back. The only problem was there weren't any servers responsible for that table so we had to eventually find one on our own. Once we were assigned a server they were great but it was a little disconcerting to be left on our own for too long. The food was very good. Thank you very much for the important feedback. Your concern will be addressed in the future. We are glad to hear you enjoyed the food. Please do come back. We were happy to sit on their patio & delighted that they very cordially invited us inside when it started pouring rain! Such a friendly, warm atmosphere, everyone working was so welcoming & fun! A definite recommendation! Your kind words are much appreciated. It was our pleasure serving you. Please do come back soon!! 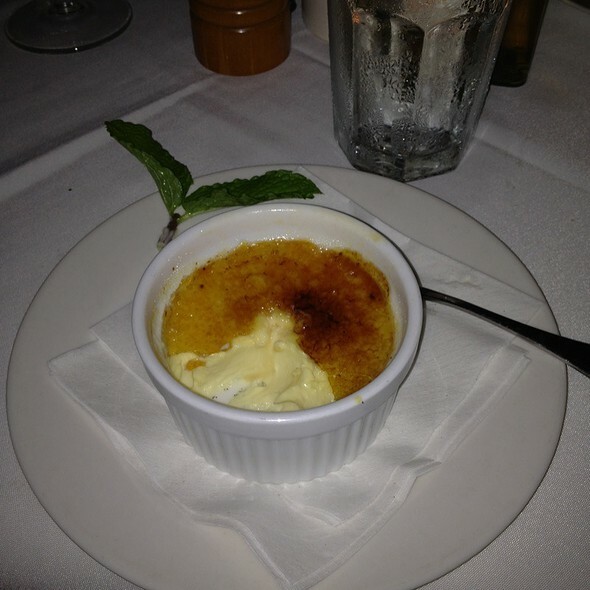 Our server was very personable and the food was delicious. After telling our server that it was my fiancé’s birthday he gave us a complementary slice of cheesecake (which was also delicious.) this was our first time going to pasta de pulcinella and it definitely won’t be the last . I would recommend it to anyone looking for a cozy, romantic spot with reasonable prices. Thank you very much for writing. 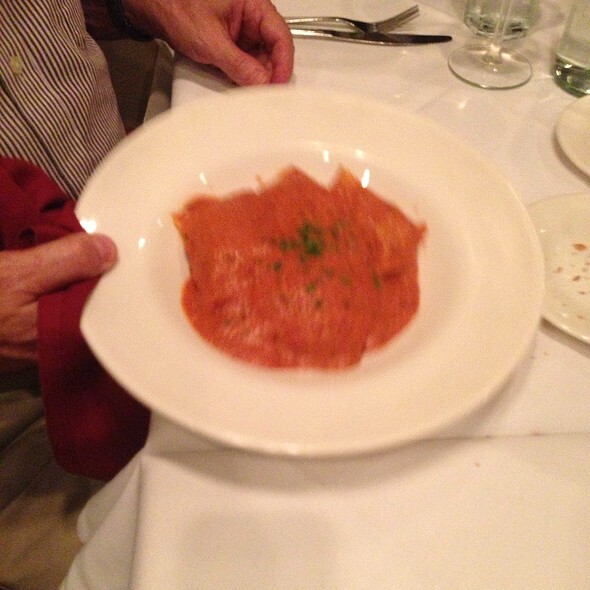 We are so glad to hear you enjoyed the "Pasta da Pulcinella" experience. Looking forward to serving you again. That is exactly what we love to hear. Happy Birthday and please do hurry back!! Food and service were both terrific. So glad you enjoyed it!! Thanks for writing. Really poor food. We ordered starters and main course and not a single item was appetizing to say the least. Our high chair was broken and when we told the server he said he would let the manager know- no effort to change it. I’d not recommend this place to anyone. Surprised at the high rating. Feedback is important to us, as we continually strive to grow and improve our service. We are sorry to hear that we missed the mark in your case. Hopefully you will change your mind and give us another try. Great food, atmosphere, and even better service! Would definitely recommend dining here! Absolutely terrific to hear you say that. Thanks very much. The food is excellent, the restaurant is quaint and cozy. It took a bit for the server to recognize that we were there, but once she got rolling the service was very good too! Thank you for sharing that important feedback. We always strive to provide excellent customer service and a memorable experience. Please do come back again. Always great service and a menu that delivers favorites and specials in a highly dependable level of excellence. The staff is welcoming and service prompt and spot on. That’s for maintaining the high quality over the years! Your loyal patronage and kind words are priceless. Thank you very much for writing. The entire experience is always awesome here. This was our first visit. We visited on a Thursday evening before an ASO concert and we were walking back and forth from the Arts Center to the restaurant and back to the Arts Center. I made a reservation because I did not know if there would otherwise be a wait. I also made an early reservation (6:00 pm) since I knew we had a tight schedule. My plan worked flawlessly; both the food and the service were excellent. We look forward to visiting again for dinner. We, too, love it when a plan comes together!! Very kind of you to share the feedback. Please come back soon. Always a great meal. This is a go to place. We agree!! Thanks very much. Met my son for lunch, it’s a great place for lunch, wonderful atmosphere and not very noisy so conversations are easy! Terrific to hear. Thank you so much for sharing your thoughts. We love this place. It was our 2nd time here and they did not disappoint! It's very quaint, has an excellent menu and the wait staff is superb. Many thanks for the kind words. It was our pleasure serving you. It was packed and super loud. Tables are very close. They use curtains to give a little divide but I kept getting an elbow in the back. Food was very good. Please accept our thanks for writing and providing feedback. Yes, our space is limited and we consistently stay busy, so thank you for your understanding. Hope to see you again soon. This has become our favorite Atlanta restaurant when we are in town. Everything about it is excellent. This is what we love to hear. Thank you!! Food was very good. Our server, a guy, seemed more interested in helping other tables than just the2 of us. Only checked on us once the whole dinner. We appreciate the feedback, and it will be taken to heart. Thanks for dining with us. Please do!! Thanks very much. 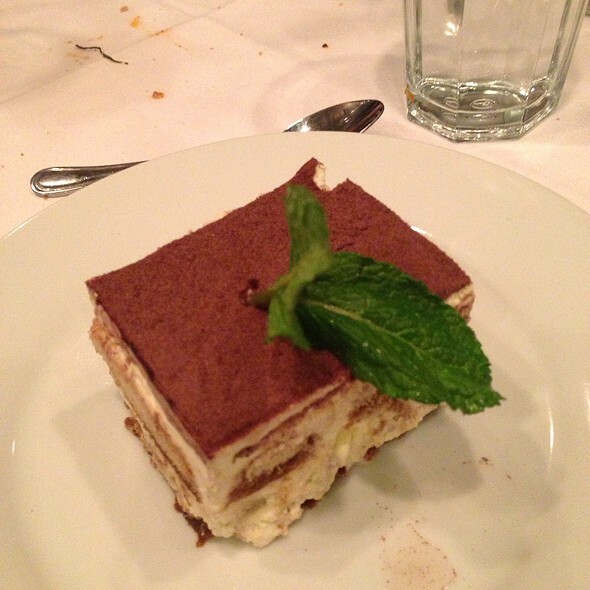 My favorite Italian restaurant in Atlanta - always a favorite place to bring guests that for a wonderful time without breaking the bank. Our recent meal was unusual in that it had one disappointment - a bland risotto (usually a strength on the menu). But everyone is allowed a mistake once in a while. We thank you for loyalty and for the feedback. Sorry to hear you did not enjoy the risotto. Please do try us again. Everything ordered at the table was excellent. The apple/ sausage dish was a must try. Many thanks for the kind words. Hurry back!! Fabulous meal, definitely will return! Great. Thank you so much!! Had dinner with my mother-in-law. Great ambiance and had a fun evening together. Works well for two diners or a small groups. Great to hear!! Thank you very much for writing. I've been here 3 times now and I have never been disappointed. The food is delicious, the staff is friendly, and the restaurant itself is beautiful, especially outside. The leftovers are also good reheated! That's exactly what we love to hear. Many thanks!! Several recent trips to Pasta da Pulcinella awarded me with excellent service from Robin at the front bar. 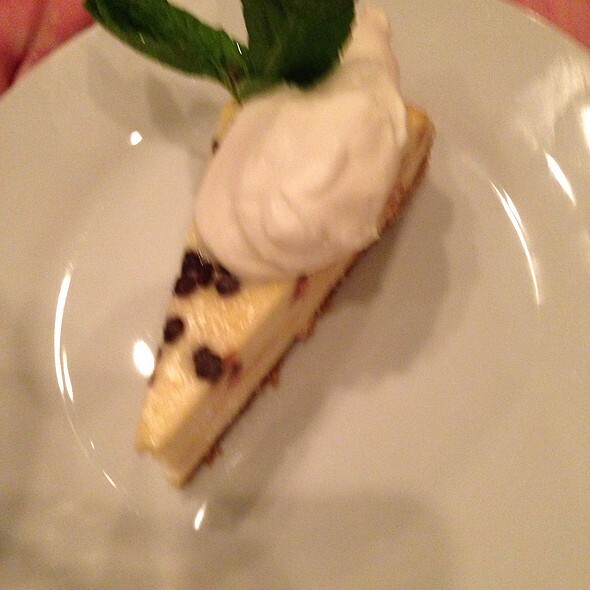 The food is always tasty and the variety of food is noteworthy. John was our server Saturday night and took good care of us. Restaurant front door ladies also took very good care of us with our reservation and seating us at a preferred table. This hidden gem is not so hidden anymore although the quaint atmosphere of being in a former home lends to excellence each time I visit. Grateful this place continues to operate based on Atlanta's fickle dining patrons. More restaurants could follow the same model of Pasta da Pulcinella. Your thoughtful review is very much appreciated. On behalf of Robin and John and the entire staff, it was our pleasure serving you. Hurry back! Have been going here for at least ten years and was great as always. Server was a little aloof but food was great as always and we had an excellent time. Thanks for the feedback and your loyal patronage. Hope to see you again soon!! Loved the quaint, romantic atmosphere. Very cozy and not too noisy. A pleasurable experience...can’t wait to come back. Terrific to hear. Please do make a date to visit us again...soon! Our first visit - but our new Midtown fave! Classy, comfortable vibe. When you want tablecloths and great service, this is a good value. Easy parking too (behind the restaurant). We appreciate the review!! Please remember that parking is also available at the nearby Moxy Atlanta Midtown hotel (around the corner at the intersection of Peachtree Walk and 13th Street in Midtown). We validate up to 2 hours for only $6 (instead of the usual $16). Please bring your receipt for validation. See you again soon! 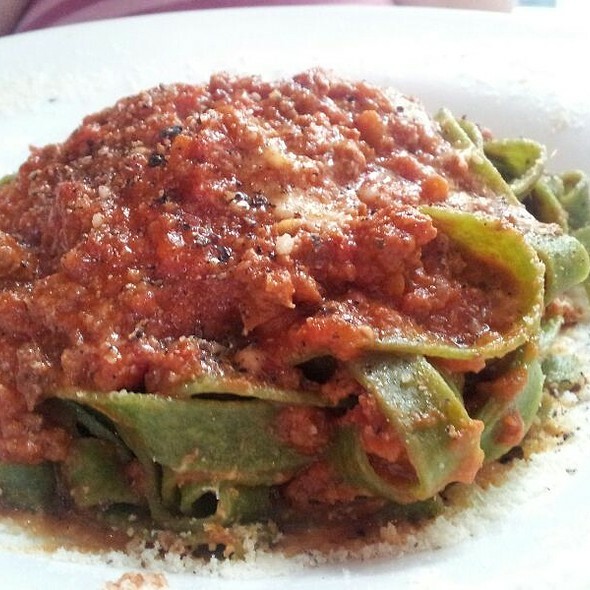 We have dined at Pasta da Pulcinella over 6 times since we moved nearby a year ago. This was the first night that we felt the food was not as good as in the past. The bolognese did not have much beef in it and we had to ask for extra sauce. It is early in the season to dine outside, but the chairs were not clean, and the rope lights need to be replaced; they are insecure (drooping) and yellowed and aged. We thought that the tree had white mini lights in the past, but the ambience was not the same. Tables were so tight that we were able to hear everyone's conversation. There was no music. Our waiter John was wonderful and we would recommend asking for him. He was knowledgeable about the menu options and very attentive. First, thanks for taking the time to write. The feedback is welcomed and will be taken to heart. Next, on behalf of John, it was our pleasure serving you. Your loyalty and continued patronage is sincerely appreciated. Hope you can visit again soon. Disappointing. Signature dish (ravioli, mele, sausage) bland and very dry. I couldn’t finish it. Server never checked to ask how things were. No manager ‘touched’ the table. To their credit, glass of wine was removed from bill when server realized I wasn’t happy. Attention from the manager would have been appreciated. There are too many restaurants in ATL with excellent food and service. 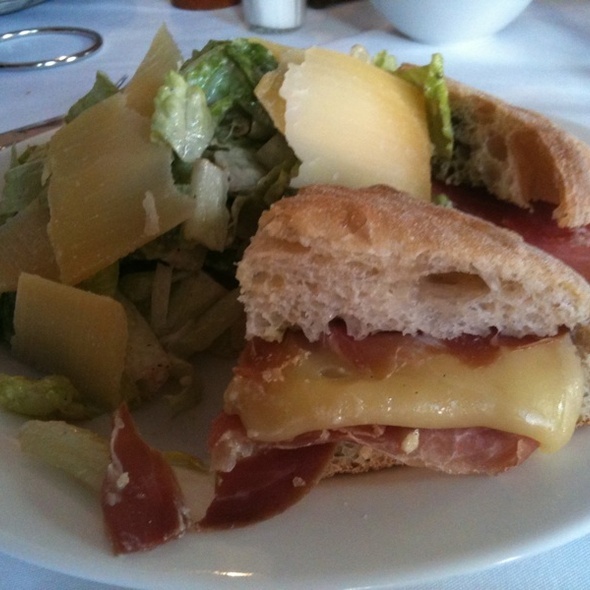 Pulcinella has become mediocre in service and food. Too bad. Thank you for expressing your concerns. All feedback is taken seriously. We are sorry to hear that you did not enjoy the experience. 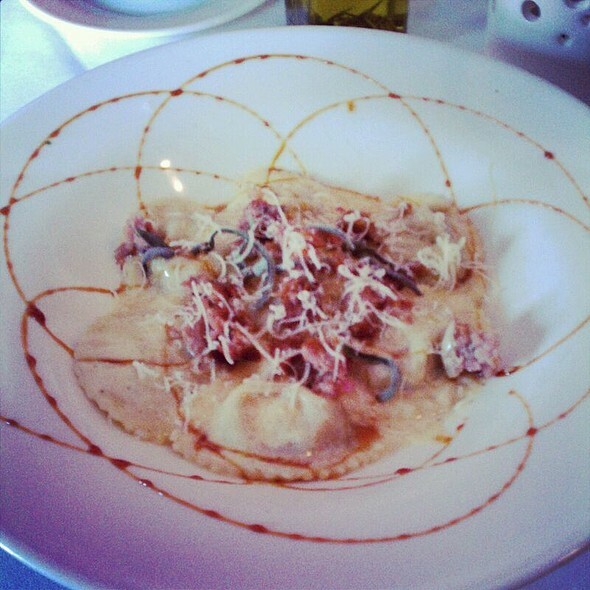 Please keep in mind that with the Tortelli di Mele (and all of our dishes), you can always request additional sauce. Hopefully you will give us another try. They were accommodating- we had a group of 7. Thanks for writing. Please hurry back!! We agree! Thanks for writing. Restaurant was recommended to us by our Uber driver earlier in the day. So glad we ventured to this gem in the city. Excellent food and service. We sat outside and enjoyed the evening. Many thanks for the kind words. So glad to have you visit us. Please do come back. Tremendous food and service in an intimate setting.